Welcome to our blog site. Insurance adjusting… what do we have to say? Today you will read foundation principles for adjusters to clarify how they can get and keep getting more assignments from Supervisors. What Makes for Good Insurance Adjusting? A Supervisor overseeing a claim assigned to an adjuster wants to see an accurate investigation that is complete with a report that is easy to understand and delivered on time. By survey, some Supervisors care more about accurate reports based on thorough investigations than they care about timeliness. Others care more about timeliness. All of the parts are important. Adjusters of all types would be wise to make sure all parts of what they do are up to snuff. Independent adjusters should have excellent communication skills to go along with their insurance adjusting expertise. This includes being reachable and responding promptly. Having and paying attention to communication devices, such as a phone, tablet or laptop, will facilitate a speedy response. A Supervisor looking for an adjuster who hasn’t confirmed receipt of an assignment or answered up about a report can be a problem. This opens the door to the Supervisor passing over the Adjuster when the next claim is ready to be assigned. Our Supervisors are all hard-core, died-in-the-wool adjusters. They know what their Supervisors wanted. And they, as Supervisors, certainly know what our clients want. 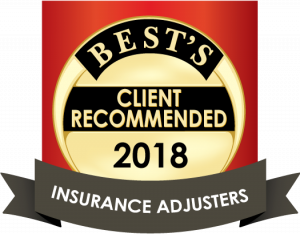 There are a lot of adjusters out there, all with varying degrees of experience. Those who combine common sense and a good work ethic with superior investigations, clear and timely reporting and good communication skills are always going to win when it comes time to dish out assignments. If you think you might be an adjuster of that caliber, we would love to see about adding you to our roster. Click here to send us your info.